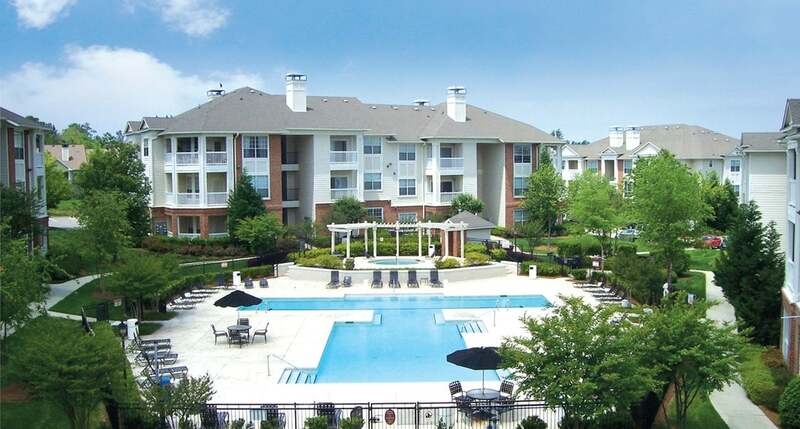 Located in Raleigh, NC, on-the-edge of Cary NC is Ashborough Apartments, a gorgeous apartment community offering one, two and three bedroom apartment rentals. Currently, Ashborough has select newly upgraded apartments boasting solid wood rich stained kitchen and bathroom cabinets and vanities, green initiative plank wood style vinyl flooring, stainless steel appliances, full-size stack washer/dryers; in select apartment homes only. Ashborough offers smoke free living with designated smoking areas. Located in the very popular Crossroads area, you will have easy access to Crossroads Shopping and Crossroads Regional Center. Not to mention the sports and recreational venues; Lake Johnson Park, Lake Wheeler, WakeMed Soccer Park and Yates Mill County Park. Nearby colleges include Meredith College less than 4 miles, ITT TECH is half a mile and NC State is just 3 miles from Ashborough. The professional management and service team is awaiting your call or visit!